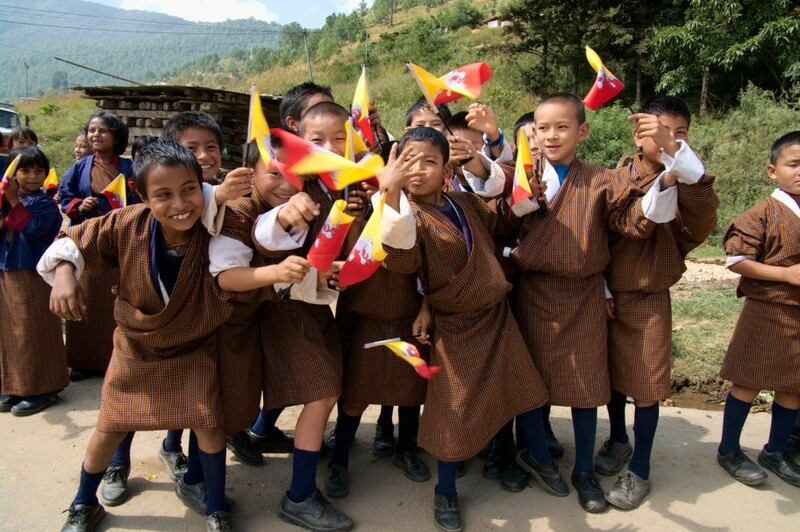 This trip covering Himalayan Shangri-La’s – Bhutan which is the land of Thunder Dragon”. It gives you an insight of the culture, religion, traditions and life styles of people living in these Himalayan countries. It is a country where famously national happiness is ranked higher than national product. Meet our guide meets you at border – drive north climbing uphill through ever changing forests with views of the cascading waterfalls, mountains and valleys as you pass several villages and towns. En-route stop at Rinchending temple and other places for photos and lunch stop. It takes about 6 hours to cover the distance of approximately 180km. Upon arrival in Thimphu, check into the hotel River View or similar. In the evening, you will be taken for short sightseeing or stroll around the town or visit the weekend market (held from evening of Friday till Sunday). Early in the morning you can take a self-guided walk from your hotel to the memorial chorten, where your see many Bhutanese circumambulate the temple as they chant prayers. After breakfast, drive east to Punakha, the old winter capital. En-route stops at Dochu LaPass, 10,000ft/3,048m to view the eastern Himalayas, including Bhutan’s highest mountain, Gangkar Punsum, 24,770ft/7,550m. The road then drops down through varied forest finally emerging into the highly cultivated, sub-tropical Punakha valley; with rice paddies, bananas, orange grooves and cactuses. 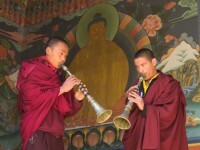 Sightseeing and lunch in Wangdue and transfer to the hotel in Punakha. In the evening, take a pleasant 20 minutes walk through the fields and village to visit Chimi Lhakhang temple dedicated to Bhutan’s popular saint Drukpa Kunley, also known as the “divine madman” (1455-1529). He is very popular to date because he preached in n the way that is unlike the stiffness of clergy and society of the time; he dramatized the teachings using songs and outrageous sexual humor. Bold Phallus symbols and paintings on the houses or temples come as a result his influence. 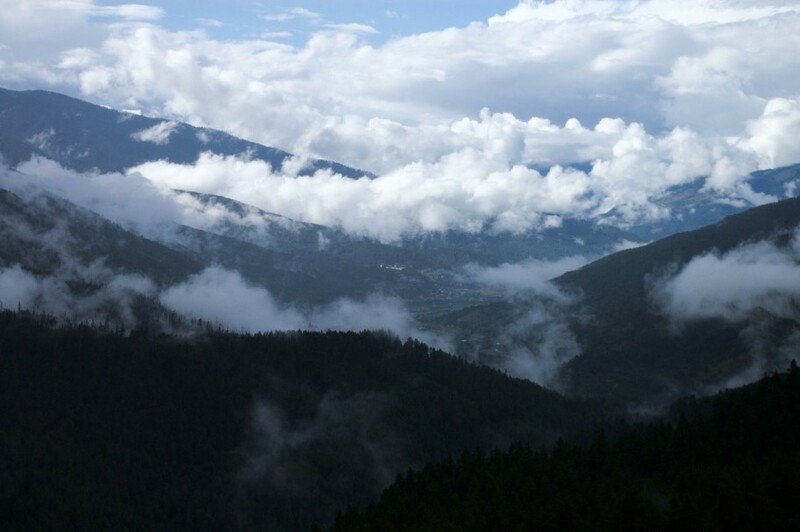 Punakha and Wangdue Valleys are at lower elevation of approx. 1400m and therefore it is warmer and has semi-tropical vegetation with cactuses, bananas and orange grooves. Punakha Dzong used to be the winter capital of Bhutan until 1958 and even today the head Abbot and central monastic body move here from Thimphu Tashicho Dzong, in the winter months.In the morning, drive to the idyllic countryside, north of Punakha Dzong and walk uphill for 20 minutes to Khamsum Yuelley Namgyal Chorten, which is perched high on the hill. Visit this temple, which has some beautiful and incredibly complex Buddhist paintings. It was recently completed in 1999 after taking almost 9 years to build. Return downhill and walk on the mostly leveled path along the east bank of the river. The transport will meet you and drive you to Punakha. 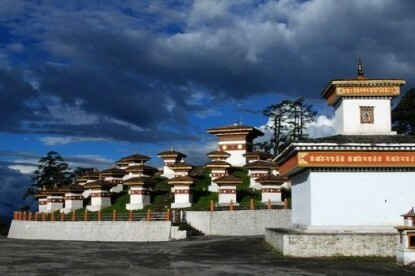 Visit Punakha Dzong and the areas around Punakha. Today you will be provided an option to hike to Taktsang Monastery or to stay in the valley. Those who choose not to hike will be transferred to the festival grounds to spend the morning.Taktsang hike: Drive about nine miles north of Paro town to the trailhead where we start our 1½-hour hike to a tea house, from where you can enjoy a great view of Taktsang Monastery (its name means “tiger’s nest”), perched on a cliff 2,700′ above the floor of the Paro Valley. The hike is a steep and the trail passes through the villages and pine forest. After a break with tea and cookies at the tea house, you have the option to sit outside the building and admire the monastery and its beautiful surroundings or, if you feel energetic, to continue another thirty minutes or so to a closer viewpoint. 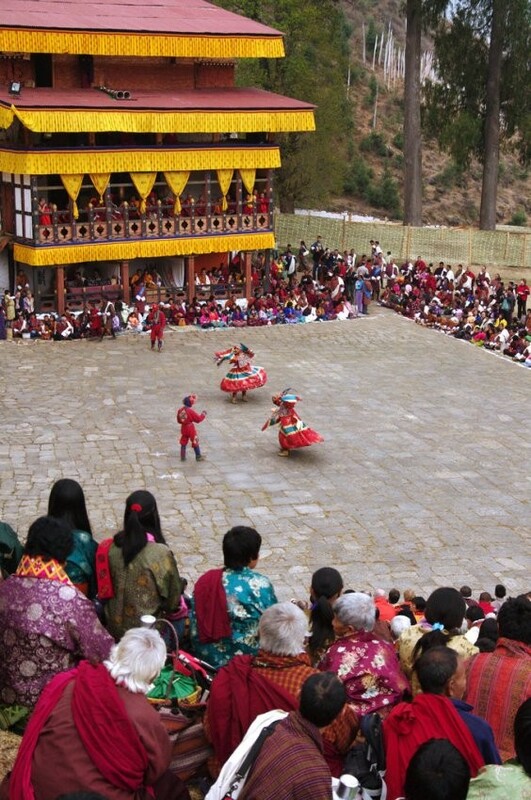 After lunch at the Teahouse we descend to the valley floor and upon available time, visit the festival. In the evening, take a stroll around the town, shop for handicrafts and enjoy the farewell dinner at the local restaurant.